I have wanted to change many things, many times. Many D-days on which I decided – this is it…a new day, a new beginning…..for many reasons – I needed to, others wanted me to, the doctor said so, society sort of expects you to….. 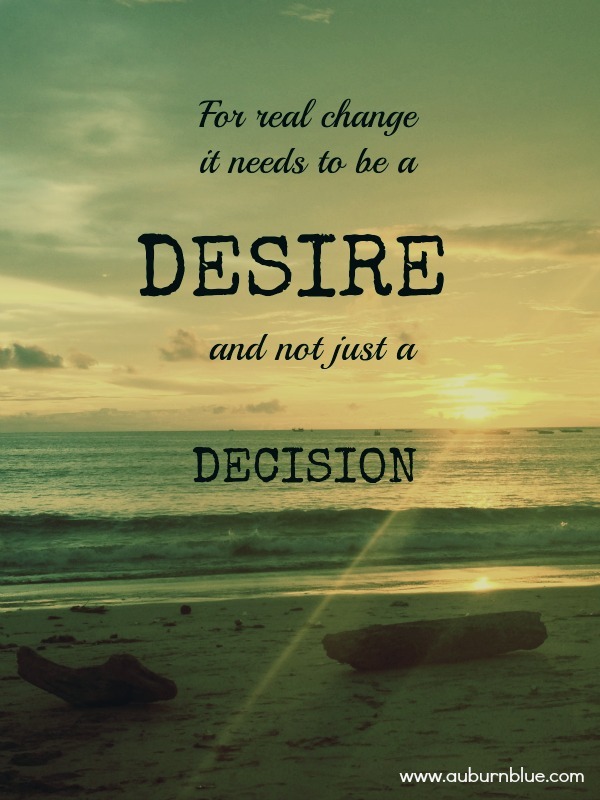 But I have discovered on my last undertaking to make changes in my life and schedule that…. I am hoping that this time it will have a lasting effect.